State Approved Course #C2636 for Adults 18-24. Six hour state approved Texas Adult Drivers Ed course with instant certificate access. Get your Texas drivers license now! Pass the Texas DPS written test, get your Texas drivers license or driving permit and pass the DPS driving test with confidence! 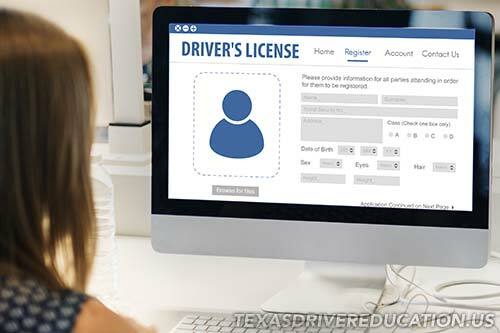 Our six hour Texas Adult Drivers Education Course (TDLR Approved Course #C2636) is the most advanced online course available and the quickest way to pass the DPS written test, get your certificate and apply for your learners permit or Texas drivers license. Proven online training using breakthrough interactive technology (text, audio, animation, graphics and video) in short, easy-to-follow learning modules. Interactive reviews at the end of each module test your progress, accelerate learning retention and teach you exactly what you will need to know to effectively pass the written drivers test online. 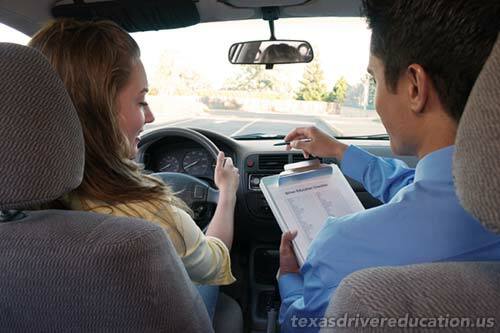 Texas adults between the ages of 18 and 24 who have not previously completed a state approved driver education course, are required by law to complete a six hour, state approved Texas Adult Drivers Ed course. Our course (TEA Approved Course #C2636) is the best course available online. Six hours of engaging content using interactive multimedia (text, audio, animation, graphics and video) in short, easy-to-follow modules with interactive reviews at the end of each module to help students get the most out of the course. 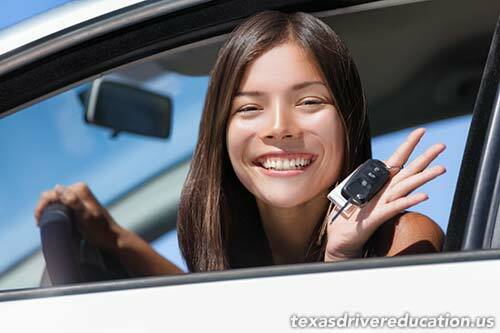 Start by enrolling in our state approved Texas Adult Drivers Ed course. Begin the course immediately (if your schedule permits). Complete the six hours of online interactive training modules. Take the DPS written exam online. Print your ADE-1317 Drivers Ed Certificate. Bring certificate and documents to your local DPS office. 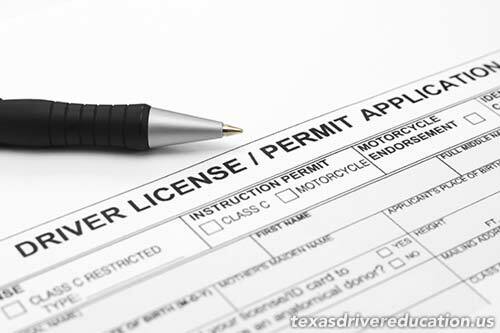 Receive your Texas learners permit, or schedule road test for your Texas Drivers license. The Adult course is simple, effective and designed to help you get licensed as quick as possible. 90.4% of our students pass the online drivers test on the first try, but if for some reason you do not pass the first time, we provide up to three attempts. You can go back and review the course material practice exams as often as needed. Worried about taking the written drivers test at the DPS office? No worries with our course! The final test in our course *is* the DPS written drivers exam. When you complete the course and the written test online, you can print your certificate from your course account. The ADE-1317 drivers ed certificate certifies you have completed a TDLR (Texas Department of Licensing and Regulation) approved Texas adult drivers education course and have passed the written exam. This certificate is presented to your local DPS office when apply for your learners permit and/or Texas drivers license. Adults 25 and over, our online driving course can help you too. You are not alone. Many adults over 25 have never applied for their drivers license and suddenly find a need to do so. It’s really not uncommon at all, however, it can leave adults wondering what the process is and how to go about it for the first time. Our Texas Adult Online Drivers Ed can help you prepare for the drivers license test. The six hours of training our online course provides helps adults prepare for the final exam in our course, which is actually the written drivers license exam. This means that you won’t have to spend hours at your local DPS office, standing in line to take the exam with all the distractions. Simply take the course on your home computer and complete the written exam through our course, in the comfort of your home! Login and out of the course as needed. The online driving course can be completed in a day, or over the course of a week if desired. Each time you log out of the course, our system remembers exactly where you left off. When you log back in, you will continue right where you left off. Learners Permit or Drivers License? After completing your Adult Drivers Ed course, students have two options. If the student knows how to drive and is ready, they can schedule their road test with their local DPS office. Most DPS offices can setup the road test within a week. If a student is not ready to take the road test, they can apply for their Texas drivers permit, where the student can legally practice driving with a licensed adult until they are ready to take the final road test. Concerned about the driving test? What if you could have an inside look at how a DPS Officer conducts an actual driving road test? Our 6 hour Adult driving course features a bonus video interview with a 20 year veteran DPS officer that conducted road tests for many years. In this bonus video, the DPS Officer takes the student through the entire road test and shares incredible tips for how to prepare and what to expect. This bonus video is only available through our 6 hour drivers education course for adults. 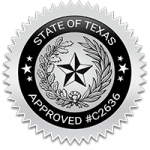 State approved (TDLR Approved Course #C2636) Texas Adult Online Driving Course. 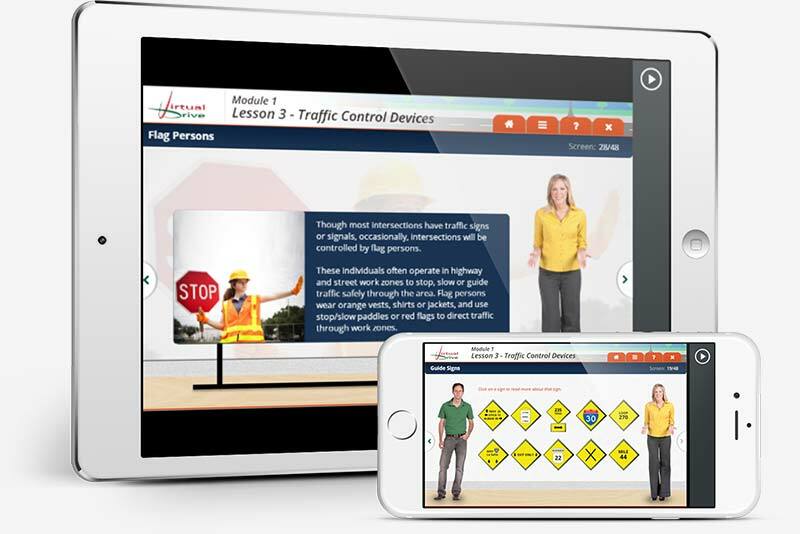 Six hour online Adult Drivers Ed course with nine modules using audio, text, graphics and video to make it fun! The final exam *is* the DPS Written Drivers Exam. No verification hassles! Verification is built into our online enrollment. Mandatory for 18-24 year olds, convenient for adults over 25 and new to state drivers. Bonus video gives you an inside advantage to the DPS driving test. Our 6 hour drivers education course is the quickest and easiest way to get your Texas drivers license. Get started today. Have questions about this course? Give us a call at (833) 3-VDRIVE and we’ll take care of you. We’re here to ensure your success!